Hey y’all – it’s Thursday, so it’s time for another Happy Inkin’ Thursday Blog Hop!! Today’s Hop is a sketch challenge and I’m excited to see what everyone comes up with – I just know you’re going to see a ton of awesome-ness on the hop! Yep – that’s the paper doing all the work, folks! Here’s the sketch we were all working with. I started with some of that pretty paper and matted it on Crushed Curry for the card front. Then, using two different designs from the paper pack, I cut two banner strips. I bannerized the ends by sticking the strip in the back of the Tailored Tag Punch (yes, I left my Banner Triple Punch at home. Do not ask me why!). I adhered both banners to the card front with Liquid Glue. For the flowers, I stamped the image from the Floral Essence stamp set 4 times in Crushed Curry on some…So Saffron Vellum Card Stock!! Whoo-hooo!! COLORED Vellum. You can get it and Old Olive and Petal Pink all in a 12″ x 12″ combo pack when the new catalog comes out in June! Once the flowers were good and dry, I punched them all out with the Perennial Flower Punch (bundled with the Floral Essence stamp set in the new catalog) and created flowers by stacking two together with a Stampin’ Dimensional. I added a fuzzy Perennial Essence Flower Center to each flower and set them aside for a minute. On a piece of Petal Pink paper from the Perennial Essence DSP, I stamped the Floral Essence sentiment in Blackberry Bliss ink using my Stamparatus. Over the sentiment, I added the Floral Essence flower image in Petal Pink. Then I cut it all out with a Stitched Shapes Framelits circle die. I adhered the circle to the card front with Stampin’ Dimensionals. I stuck a Perennial Essence Flower Center onto the sentiment circle, popped the two Vellum flowers on with Stampin’ Dimensionals and the card front was done! On the inside, I stamped the Floral Essence flower a few times in Petal Pink in the corner of more of the Perennial Essence DSP. I gave each flower a center with the little image from Floral Essence in stamped-off-twice Crushed Curry. I used Liquid Glue to adhere the panel to a Crushed Curry mat and into my Blackberry Bliss card base, popped the card front on with Stampin’ Dimensionals and the card was done! …and I used a little more of the Perennial Essence DSP on the envelope flap! Et Voila! Oh my goodness, you guys!! THIS. PAPER. IS. SPECTACULAR! Each piece brings more stunning gorgeousness – like Monet painting after Monet painting! Wow! It works so perfectly with the coordinating Floral Essence stamp set and bundled Perennial Flower Punch, too. You’re truly going to love this one! I hope you like! It’s a Clearance Rack Refresh – and they don’t happen very often, so… be sure to check out the great new additions in my Online Store! Supplies are limited, and with discounts up to 60%, products will go quickly. Shop now and stock up. If there is a product you want, we recommend buying it right away and not waiting to see if it’s discounted later or you risk it being sold out! Click any of these links to go to my Online Store for the most up-to-date information! So…I won’t even say it. The layout for this one is from this week’s As You See It Challenge. And the challenge over at The Paper Players just warmed my fussy-cutting-loving heart! I started with a Whisper White panel and, in Mint Macaron and Crumb Cake, stamped the palm tree fronds and trunk from the Beach Happy stamp set – using my Stamparatus. Then I embossed it in the Seaside TIEF – which is ALSO retiring! I stamped the image and embossed the panel with it larger than I wanted – then I cut it down to size with my Trimmer. I matted the panel on a piece of Pacific Point card stock for the card front. I cut a strip of Coastal Cabana paper from the new Follow Your Art DSP and used the Tailored Tag Punch to bannerize the ends. Then I adhered it to the card front with Liquid Glue. I trimmed a retiring Colored Doily in Grapefruit Grove down a little then adhered it over the banner with Liquid Glue. The Mint Macaron 1/4″ Textile Ribbon, coming in the 2019-2020 Annual Catalog, is looped and adhered with a few Glue Dots. For the art, I stamped the beach chair and umbrella image in Tuxedo Black Memento Ink on Whisper White, then I cut it with a Stitched Shapes Framelits oval die. I added the Beach Happy sentiment in Pacific Point. I popped the oval onto the card front with Stampin’ Dimensionals. On a piece of Coastal Cabana paper from Follow Your Art, I stamped the beach chair again in Tuxedo Black and fussy cut the sections of the chair. With my Journaling Pen, I traced the lines on each piece to make them a little more bold. Then I adhered the pieces to the art panel with Liquid Glue. I did the same with the umbrella image – on a different design paper in Follow Your Art. I added a couple three Mint Macaron Share What You Love Artisan Pearls and the card front was done! On the inside, I added another palm tree from Beach Happy in Mint Macaron and Crumb Cake to a Whisper White panel. I stamped the hat image in Pacific Point, then repeated it on the Follow Your Art DSP – fussy cut it, and adhered it to the hat. I used Liquid Glue to adhere the panel to a Pacific Point mat and into my Mint Macaron card base, popped the card front on with Stampin’ Dimensionals and the card was done! …and some more Follow Your Art DSP on the envelop flap. Et Voila! I LOVE paper piecing, y’all – and this new Follow Your Art DSP is just flat perfect for the technique – especially with the Beach Happy stamp set, don’t you think?? I sure do hope you like and will give it a try! And – get these retiring goodies (Beach Happy, Seaside TIEF, and the Colored Doilies) before they’re gone forever! I’ve been giving you a few sneak peeks and we’ll see some “in person” goodies tonight, but – here’s the deets about getting your very own copy! If you’re a current customer of mine (like…you’ve ordered from me in the last 12 months), I’ll be ordering you a copy of the catalog and mailing them out just as quickly as I can once they arrive. Your catalog should be arriving in mid-May in a Priority Mailer Envelope. Ordering opens for the Annual Catalog at 12:00 noon MT on Tuesday, 4 June. If you’re NOT a current customer of mine but would like a copy of the Annual Catalog, simply place an order through my online store before 4 June and you’ll automatically be added to my mailing list. Demonstrators can preorder from the Annual Catalog beginning on May 2! So join my team now and you can get your hands on those new catalog items a month early! The layout for this card comes from the sketch portion of this week’s FUSION Challenge. And here’s the Magnolia Memories & More Card Pack and Large Specialty Cards & Envelopes! I started with one of those cards and one small sentiment panel from the Card Pack. I matted the panel on a piece of Basic Black cardstock and popped it onto the card front with Stampin’ Dimensionals. I cut a strip from another panel of the Card Pack and matted it on Basic Black, too. Then I adhered three of the fun Magnolia Lane Cork Embellishments and added the whole thing to the card front with more Liquid Glue. I tied a Linen Thread Double-Loop bow and stuck it on with a Glue Dot. Over top is a simple bow tied from some new Mossy Meadow Linen Thread. This new Linen Thread is part of the Magnolia Lane Ribbon Combo Pack – and you’ll be able to get IT on 4 June, too! And – y’all? That was all the front of this card needed! For the inside, I used a large panel from the card pack and added a single magnolia sticker – which is just one of the cool embellishments included in the Magnolia Lane Memories & More Card Pack. I used Liquid Glue to adhere the panel to a Basic Black mat and into my Large Specialty Card – and that was it! My card today is a sneak peek of the new Mosaic Mood Suite of products in the 2019-2020 Annual Catalog! This suite, along with the entire wonderful catalog, will be available to customers on 4 June. However – if you wanted it earlier than that, Stampin’ Up! Demonstrators can order an entire month early – on 2 May! And that includes NEW demonstrators – who can select from the Pre-Order products to fill their Starter Kit! Give me a holler if you’d like more info – you can also go to my Join My Team page for answers to many of your questions about joining us. I’d love to have you on my team! The layout for this one comes from the Freshly Made Sketches challenge this week! I started with a plain Very Vanilla panel matted on some new (coming on 4 Jun) Terracotta Tile card stock for the card front. Next up, I trimmed down two strips of Mosaic Mood Specialty DSP and matted them on Terracotta Tile, too. Then I adhered the matted strips to the card front with Liquid Glue. For the art, I used my Stamparatus to first stamp the leaves image from Memorable Mosaic (4 Jun) in Mint Macaron on a Very Vanilla panel. Now, for this card, I wanted a sort of minimal look (I know – weird for me! ), but…this image would look super cool if you stamped once – offset the image a smidge (I’d go DOWN and to the RIGHT!) – and stamped again without re-inking! I added the tree trunk in Soft Suede. Finally, in the new Terracotta Tile color, I added the sentiment. Then I matted the panel on Terracotta Tile and popped it onto the card front with Stampin’ Dimensionals. I did a quick fussy cut of a Crushed Curry butterfly from the Mosaic Mood Specialty DSP and added it with some Liquid Glue. I gave it a Mint Macaron body with a few Share What You Love Artisan Pearls (these are RETIRING, folks – so be SURE to grab some up to have plenty in your tool box!). I added two Flower Faceted Gems to the panel and the card front was done! On the inside, I used the Stamparatus again to add a second image from Memorable Mosaic to a Very Vanilla panel in Terracotta Tile. Then I used my Dark Mint Macaron Stampin’ Blend to color the single word. I stamped a flower in Crushed Curry and added a Mint Macaron Share What You Love Artisan Pearl. I used Liquid Glue to adhere the panel to a Terracotta Tile mat and into my Mint Macaron card base, popped the card front on with Stampin’ Dimensionals and the card was done! …and I gave the envelope flap a little more of the Mosaic Mood Specialty DSP to the envelope flap! Et Voila! Isn’t this a fun Suite?? I love the images and sentiments – and the paper is gorgeous! Also – there’s an embossing folder that will be available when the suite comes out in the catalog on 4 June! I hope you like – and are already adding it to your Wish List! If you are not a current customer of mine but would like to be and want a copy of the 2019-2020 Annual Catalog, please fill out my Catalog Request Form and I’ll get a copy in the mail to you as soon as my catalogs arrive! DO NOT MISS GETTING YOUR FAVORITE 2017-2019 IN COLORS! Past experience tells us that once this list becomes “official” – some things…like ink pads, refills and card stock! – go off the shelves like hot cakes! So this would be a great time to stock up on your favorite colors!! The Annual Catalog Retiring Products lists shows the Retiring Product stamp sets that will be carrying over to the new catalog (just in cling-mount rather than clear-mount or wood-mount) highlighted in gray. Or…click these links to go to my Online Store for the most up-to-date information! Please note, some of the bundle items may be carrying over into the new 2019-2020 Annual Catalog. However, the bundle pricing will go away, so get them while you can at the discounted price! There are stamp sets that are currently offered in clear-mount or wood-mount (in the 2018–2019 Annual Catalog), that ARE carrying over – but are being transitioned to Cling Mount. These transition sets that will be in the 2019–2020 annual catalog – will continue to be offered in clear-mount and/or wood-mount until existing inventory has been depleted or until June 4, 2019 (whichever comes first). If the inventory is depleted, you will be notified of the automatic switch to cling when placing an order for that stamp set. This means that you may end up purchasing select cling stamp sets (in carryover artwork) before they can be ordered from the catalog! All carryover rubber stamp sets will be available in cling medium only (with the exception of background stamps in North America) beginning June 4, 2019. Happy Easter, my friends! I hope your day of Celebration is wonderful! I am spending the day with some very old friends – THEY’RE not old, our FRIENDSHIP is old! – and am looking forward to seeing them again after too long apart. I have a video and card cuts on a blog post (here) or on YouTube showing how to make these Envelope Punch Board gift bags if you’d like to see! Here’s a link to the video on YouTube. If you were able to join me last night for my 2019-2010 Annual Catalog pre-order reveal, I appreciate you spending part of the holiday weekend with me! If not, but you’d like to see just a little sampling of the goodies that are headed your way on 4 June…check out the video right here! 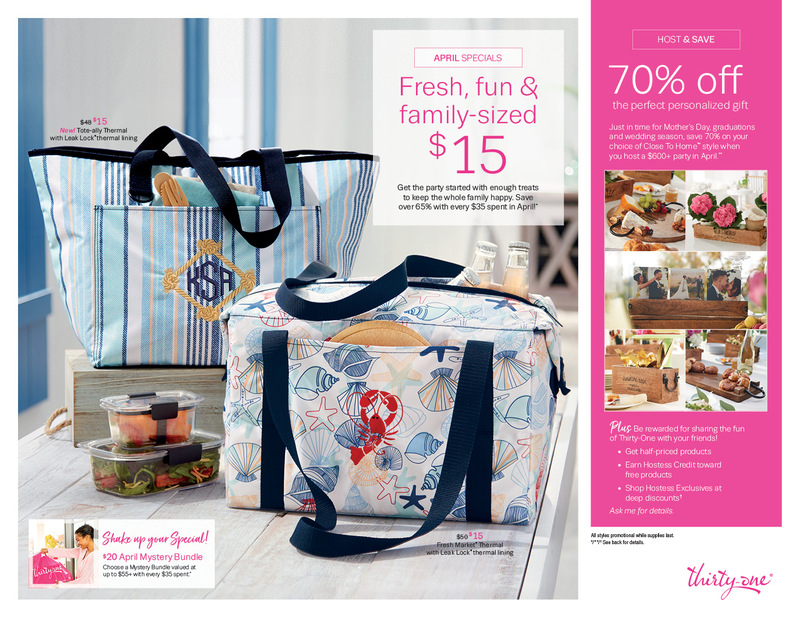 Be sure you’re on my list to get the new catalog in May, okay? You can scroll down for all the deets. I’ll be back tomorrow with a card made with one of my new toys. Er….tools! WHAT IS A PRODUCT MEDLEY? Product medleys are new to Stampin’ Up! and, in addition to being filled to the brim with cute, coordinating products, we’ve designed our product medleys to provide you with endless creative possibilities. Rose Gold Shimmer Paint—1/2 oz. We all like videos, so… here ya go! The Everything Is Rosy Product Medley will be available for purchase until 31 May 31 2019—or while supplies last. The Everything Is Rosy Product Medley is $80 and the item number will be: 150059. All order types qualify for this promotion (e.g., customer, workshop, and online). No order limits apply to the Everything Is Rosy Product Medley during the sales period. The Everything Is Rosy Product Medley is eligible for Stampin’ Rewards with qualifying orders. The Everything Is Rosy Product Medley may be added to a Starter Kit. Sales Period Ends: while supplies last or 31 May 2019; at 11:50 PM (MT), whichever comes first. These items will not be in the upcoming Annual Catalog or any future publication, you can only get them by ordering the Product Medley beginning 1 May! Check out this flyer with all the deets you’ll need – click it to make it Human-Sized! The first of May is right around the corner – so get ready for the Everything Is Rosy Product Medley – and be sure to get it headed your way quick as you can! This May, you’re in for a treat. Paper Pumpkin has teamed up with Shelli Gardner, Stampin’ Up!’s board chair and cofounder, to deliver you a very special Paper Pumpkin kit. It’s exclusive, collectible, and one of a kind. Die-hard Paper Pumpkin and Stampin’ Up! fans won’t want to miss this special edition. We got to see a little preview of this kit at OnStage – I can’t WAIT to get mine! It’s gorgeous! Shelli Gardner worked closely with designers and concept artists to create a Paper Pumpkin kit that is uniquely hers. It includes an exclusive photopolymer stamp set, paper and crafting materials to create 12 mailable cards (3 cards of 4 unique designs), 12 exclusive, coordinating envelopes, and a Classic Stampin’ Spot. Coordinating colors: Crumb Cake, Early Espresso, Old Olive, Petal Pink, Pool Party, Pretty Peacock, Soft Suede, and Very Vanilla. In order to receive the Hugs from Shelli kit, the subscriber must have an active subscription by May 10 at 11:50 PM (MT). Ready? Well, there’s two ways to get in on the fun. You can sign up for a subscription where you’re billed monthly for your kit – click here to get started. …do a Prepaid Subscription! To see the options for prepaid subscriptions in my online store, click here. Either way…I think you’re really going to want this kit. I know I do! Stampin’ UP! Everything Is Rosie Medley, Shelli’s Paper Pumpkin and New Catalog Video Sneak Peek! Good morning! Hope you’ve got a wonderful Easter weekend on the books! I’ve got a couple of “things coming soon” for you today! So…here we go! First – we’re going to have a live “reveal” this evening at 7pm Eastern, over on my Stamps-N-Lingers FB page. We’ll take a dive into my pre-order box! There’s a lot to look at – so I’m guessing that’ll take up the whole time we have together. Hope you can join me! Next up – is a little something we call the Everything Is Rosy Product Medley – and it’ll be here on 1 May! Check out some samples made with this amazing medley of goodies! Looks pretty amazing, doesn’t it? Check out this flyer with all the deets you’ll need – click it to make it Human-Sized! The next new thing on it’s way to you? The Hugs From Shelli May Paper Pumpkin Kit! Last up – but SO not the least! – is the new 2019-2020 Annual Catalog – which all my Stamps-N-Lingers customers will be finding in their mail boxes in May! Whew! That’s a lotta “in-with-the-new” info for you! And of course there’s still a lotta “out-with-the-old”, too – check that all out down below! Hope I’ll “see” you tonight! 7pm Eastern. Here! Guess what DAY IT IS?!? Yep! You know it to be THAT DAY! I took a little inspiration for some of the elements on the card from the samples in the new 2019-2020 Annual Catalog! And – I let the theme from this week’s Just Us Girls Challenge give me a hand, too! Before we get too far – check the Daisy Lane stamp set (coming on 4 Jun). This one coordinates with the Daisy Punch (which you may already have – if you don’t, you can pick it up right now and be ready!) and…there’s a new MEDIUM DAISY PUNCH coming in the catalog!! Whoo-hooo! And check out this gorgeous Mosaic Mood Specialty DSP! It’s got mosaic tile images with shiny accents and I love it already! Okay – so let’s make a card! I started with some Very Vanilla, matted on Soft Suede for the card front. On top of that, I used Liquid Glue to adhere a square of the Mosaic Mood Specialty DSP (4 Jun availability). For the art panel, I first used my Stamparatus to stamp a couple of leaves and stems from Daisy Lane in Mint Macaron on a Very Vanilla panel. I also inked the smallest daisy image from Daisy Lane in Crushed Curry, stamped it off once, and added it a couple of times around the leaves. Then I matted the panel on Soft Suede and adhered it to the card front with Liquid Glue. I built my flowers by adhering them together with a Stampin’ Dimensional – either regular size or mini. Then I added a Gold Faceted Gem to the middle of each flower. The sentiment, also from Daisy Lane, is stamped in Mint Macaron on Very Vanilla and cut out with the new Timeless Label Punch (4 Jun). I added some small Daisy Lane daisies over top in stamped-off-once Crushed Curry. Then I used my Soft Suede Stampin’ Write Marker to edge the label. I created a “pot” with a strip of Soft Suede (for the top “rim”) and an angled piece that I also embossed in the Basket Weave Dynamic TIEF (carrying over!). I adhered the pot to the panel with Liquid Glue and popped the “rim” on with Mini Stampin’ Dimensionals. I used Liquid Glue to adhere the stacked daisies and Stampin’ Dimensionals for the sentiment. Then I added a Mint Macaron bow from Nature’s Twine and a final Gold Faceted Gem. Then I fussy cut a few leaves from the Mosaic Mood Specialty DSP and stuck them in here and there with Liquid Glue to finish the card front. Check that adorable bee! On the inside, I used my Stamparatus to add a second sentiment from Daisy Lane in Mint Macaron on a Very Vanilla panel – then I added a stamped-off-once Crushed Curry daisy over top. I used Liquid Glue to adhere the panel to a Soft Suede mat and into my Mint Macaron card base, popped the card front on with Stampin’ Dimensionals and the card was done! …and I added a little more Mosaic Mood Specialty DSP to the envelope flap. Et Voial! Oh. My. Goodness!! How awesome is this stamp set, y’all!?? And the beautiful Mosaic Mood Specialty DSP? I mean seriously! And the fact that we’re getting a new Medium Daisy Punch (and the current Daisy Punch AND Daisy Delight stamp sets are carrying over!!) means we’re going to have SO many options for creating gorgeous florals on our projects! Get the Daisy Delight stamp set and Daisy Punch NOW and then add these new goodies to your wish list! The Annual Catalog Retiring Products lists shows the updated list with the current stamp sets that will be carrying over to the new catalog (just in cling-mount rather than clear-mount or wood-mount) highlighted in gray. Stampin’ UP! Come Sail Away Sneak Peek! Good morning! Have you been scouring the Retiring List? Making sure you’ve grabbed up your favorites? Are you one of those folks who does NOT own Lovely as a Tree – and figured it would “be available forever and ever and no need to buy it now!”?? Well…uhm…yea. That’s not happening! So…don’t assume your faves will always be here – get them NOW! Just sayin’! I started with a piece of Night of Navy card stock and the Seaside TIEF (which is on the Retiring List, folks – so….be sure you get it before you can’t!). With my Craft Whisper White Ink Pad, I swiped across the DEBOSSING side of the TIEF – so the indented side. I made sure I had good coverage then carefully placed the Night of Navy panel in the folder and ran it thru the Big Shot. When it came out – boom!! Instant “water” – which I enhanced even more by brushing Clear Wink of Stella over the raised “waves”. I matted the panel on Sahara Sand to create the card front. I did the same with a grass die cut from Vellum card stock – did you hear me mention on the demonstration that there is COLORED Vellum in the new 20190-2020 Annual Catalog? Yep – it’s in the Perennial Essence Vellum pack 12″ x 12″ sheets in Old Olive, Petal Pink and So Safffron! Whoo-hooo! The anchor, from the Sailing Home stamp set, is stamped in Sahara on Whisper White and cut with the matching die from the Smooth Sailing Die set. I used a length of the new Night of Navy & Sahara Sand Baker’s Twine (part of the Suite and coming on 4 June), looped it thru the top of the die cut anchor, tied a knot and then adhered the anchor on with Liquid Glue. I stamped the Sailing Home sentiment in Mossy Meadow on Whisper White, cut it out with the label die in Smooth Sailing, and popped it over all the sea grass and anchor with Dimensionals. Some Pearl Basic Jewels scattered here and there finished off the card front! On the inside, on a piece of Whisper White, I stamped the anchor in Sahara Sand. Then, I used my Sponge Daubers and the card stock “stencils” created when I cut the grasses for the card front! – to sponge some grass on and around the anchor in Old Olive and Mossy Meadow. I used Liquid Glue to adhere the panel to a Sahara Sand mat and into my Night of Navy card base, popped the card front on with Stampin’ Dimensionals and the card was done! …and then I stamped the anchor onto the envelope flap. Click here to open the list…. Please note, some of the bundle items may be carrying over into the new 2019-2020 Annual Catalog. However, the bundle pricing will go away, so get them while you can at the discounted price!! The lists sort of make it look like every single stamp set from the 2018-19 Annual Catalog is being retired – but that is not the case. Rather, the stamp sets currently offered in clear-mount or wood-mount (in the 2018–2019 Annual Catalog), that ARE carrying over – are simply being transitioned to Cling Mount. Any other stamp sets on the 2018-19 Annual Catalog retiring list that are NOT on this list will be retired. Sorry again for the confusion! Stampin’ Up! is aware of it and hopefully will be posting an updated list for us. Stampin’ Up! Big New Changes on the Horizon!! I wanted to bring you some news from Stampin’ Up! so that you’ll be on the cutting edge of “in-the-know”! As you’re aware, we’re headed into the transition time between catalogs. So…we’re anticipating the arrival of the 2019-2020 Retiring List – watch for it on 15 April (that’s next Monday!). We’re also going to see some changes to our product lines! Though change is hard, I know these are going to be for the better! Whoo-hoo! Stampin’ Up! Storage Solutions Coming Soon and the Butterfly Duet Punch is Back!! Happy Friday! And – we MIGHT even have BOTH days off this weekend, so…keep your fingers crossed for me, will you?!? Today, instead of a card, I’m bringing you all the deets you need on our newest line of goodies….